(2), Tap: Add (Black) to your mana pool for each Swamp you control. Those are all solid choices to remove to make room for more apostles. You also need to increase our land base, 35-37 lands. Also add Anguished Unmaking and Utter End . You seem to be lacking ramp. Consider Lotus Petal , Mana Crypt , Crypt Ghast , Cabal Coffers and Magus of the Coffers . 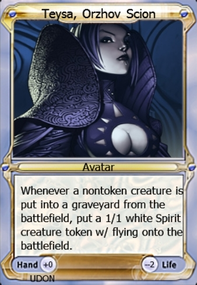 The name is why I clicked (despite Teysa being one of my favorite characters in Ravnica's lore). It's a double entendre, something that's used a lot in recognized literature such as Shakespeare. Is this Shakespeare's level? Probably not, but I found it to be a witty name nonetheless. I even told a friend I wished I had come up with it. That alone gets my plus one. As for the deck, it looks fairly solid. Some recommendations I might suggest include more draw effects. Cards like Grim Haruspex , Mentor of the Meek (you have enough creatures that fit the requirements plus afterlife tokens), Midnight Reaper , Smothering Abomination (if you feel you have the right amount of sacrifice outlets...if not Viscera Seer is a good addition! ), and Dark Prophecy to name a few. Ayli, Eternal Pilgrim could help as a good sac outlet as well as removal bonus. Grave Betrayal : Really costly & with all the creature removal you're running, by the time this is out, iit's just win more. Wound Reflection : Just a win more. By the time you're draining life, you should pretty much win without needing this. Especially given it's cost. Mirage Mirror : I'm not sure if I'm missing something crazy cool with this, but I don't see it's purpose. 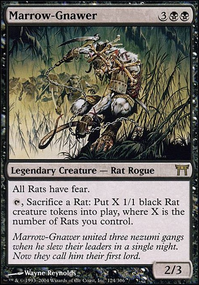 Magus of the Coffers : In mono black I can see running him, in 2 colors, Cabal Coffers is sufficient. If anything, I would run Nirkana Revenant over thihs guy. 1- Necrotic Ooze + Triskelion (in grave) + Phyrexian Devourer = Dano em todos os players. 2- Magus of the Coffers + Umbral Mantle + 6 lands = infinite mana. Hey thrane, thanks for the suggestions. Also, I agree you're right on the land count and that is why I added 3 more lands, even with several mana doublers like Crypt Ghast , Magus of the Coffers , Caged Sun , etc I didn't think it was enough either and so I cut some cards. As for those suggestions Chainer, Dementia Master is one I have certainly been thinking about already and I may try to make room for him likely the most. As for the others I will consider them in time too, but there's quite a few cards I'm looking to still add to here so they may or may not all be added. This deck I'm not looking to spend too much on, and despite what looks like a high price tag you might think for this already, it is actually not the case. Since I own quite a few things such as a copy of Cabal Coffers , Urborg, Tomb of Yawgmoth , Grave Pact , among others in other decks and with my play group I'm just going to get proxies of cards that I already have in my collection but that are in other decks. Sooo, how often are creatures of you going to connect? You have quite some cards that want to beat face (e.g. Drana, Liberator of Malakir , Necropolis Regent , Bred for the Hunt and Thrummingbird ). Most are small but could be good though! Personally I haven't been able to profit much from bred for the hunt, but I never run the flying creatures and the heralds that you do. But on to the questionable cards. 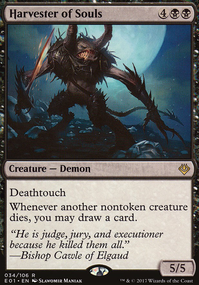 Mazirek, Kraul Death Priest wants the Butcher of Malakir , Cataclysmic Gearhulk or Slaughter the Strong kinda effects. But Yehenni seems like your only man. So why play him? Urborg, Tomb of Yawgmoth seems like a bit of a waste here. You don't play nearly enough swampwalk or Crypt Ghast / Magus of the Coffers effects. I personally also used to play Bramblewood Paragon solely for Reyhan. But still, you only play 4 warriors in total. So even if it hits the cmc, isn't the new Zegana, Utopian Speaker a better choice? If you like to run more sacrifice outlets. I am an absolute fan of Greater Good , and recently became addicted to Ayli, Eternal Pilgrim . You run allot of instants and sorceries for a deck that cares about creatures and counter-interaction, but you miss the Reyhan staple Living Death . Really, it's gorgeous (and also works with Mazirek)! "When an effect happens or card becomes played this is put on top of an imaginary stack. However, when a card is in the middle of being resolved, any new effects cannot take place until the card is done. So Reyhan's ability can only be placed on the stack when Living death is resolved. Thus, Reyhan can choose new targets for all the counters that would've been lost otherwise!" Stipped right off my primer: Reyhan&Ishai | Where Unstoppable Meets Immovable! You have an expensive taste, maybe Assassin's Trophy is an option? Together Forever does not only score points on it's amazing flavor between Reyhan and Ishai, creatures "die" before returning to your hand. It's all Reyhan ever needs to hear. Lastly I'd like you to take a look at your creatures and their base power and toughness, and then take a look at Octopus Umbra . It's off-theme, but packs quite a package. Just saying. Thanks for the suggestions! I generally stay away from the signets and I'm pretty confident with my mana base right now, but I'll definitely keep those in mind, especially Magus of the Coffers because that could go great with Torment of Hailfire . I definitely want to find room for an Expedition Map for Cabal Coffers or Urborg, Tomb of Yawgmoth . Seems like I'll get one or the other and get stuck. Mimic Vat could work, but I'm not sure I'd fetch for it. I like Dawn of Hope . Field of Souls and Open the Graves I feel would miss a lot because most of my field is tokens. I like Luminarch Ascension but that would make me a target unless it was a turn two drop. Yeah, it was the first thing I thought of when I though of treasure tokens lol. I might change the name. 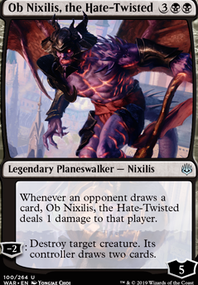 I like the idea of the deck, lots of sacrifice outlets and token generation and it plays well into your commanders strength so good work there. The changes I would consider making are those to your mana base, adding three more lands and Orzhov Signet , Thran Dynamo and Gilded Lotus . I would also add Magus of the Coffers and Expedition Map to 'double up' on cabal coffers. 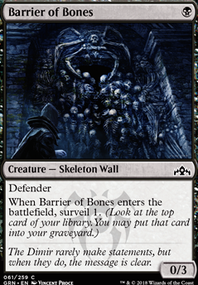 Some value adds to consider are Mimic Vat , Dawn of Hope , Field of Souls , Luminarch Ascension and Open the Graves . The animations you have chosen make me think you should name the deck "Scrooged", keep up the good work. 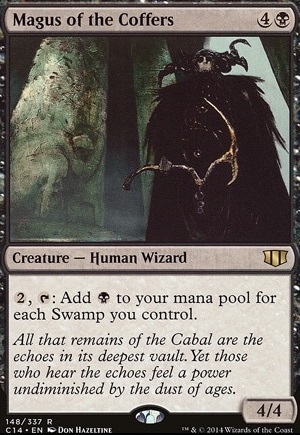 Magus of the Coffers , Nirkana Revenant , and Cabal Stronghold are also good ways to generate extra mana from your Swamps. Blade of the Bloodchief fits great with Kalitas (who, if I recall correctly, is/was the Bloodchief of Ghet). Although creatures your opponents control won't "die" while Kalitas is out, the Zombies you make can serve as fodder to further grow your general. I'd also recommend Rogue's Passage to help your general get through when you need to. Sometimes, you can convert your zombie army into a big power spike for Kalitas, and then take out an opponent with commander damage.